T H E C U R I E S ’ N E W L Y D I S C O V E R E D E L E M E N T O F R A D I U M makes gleaming headlines across the nation as the fresh face of beauty, and wonder drug of the medical community. From body lotion to tonic water, the popular new element shines bright in the otherwise dark years of the Great War. 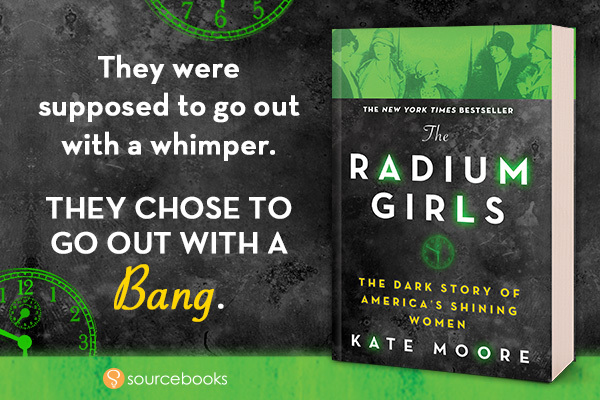 Meanwhile, hundreds of girls toil amidst the glowing dust of the radium-dial factories. The glittering chemical covers their bodies from head to toe; they light up the night like industrious fireflies. With such a coveted job, these “shining girls” are the luckiest alive–until they begin to fall mysteriously ill. But the factories that once offered golden opportunities are now ignoring all claims of the gruesome side effects, and the women’s cries of corruption. 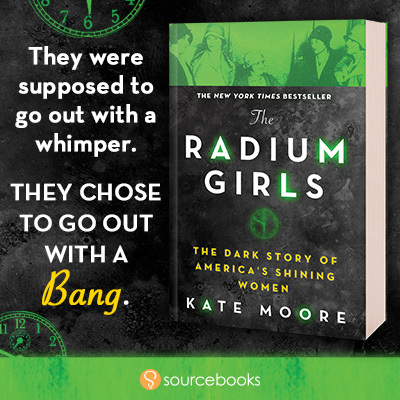 And as the fatal poison of the radium takes hold, the brave shining girls find themselves embroiled in one of the biggest scandals of America’s early twentieth century, and in a groundbreaking battle for workers’ rights that will echo for centuries to come. D O W N L O A D R E S O U R C E S !